Planning for Medicaid is one of the best and most beneficial decisions a person can make. Medicaid is a form of government support that provides healthcare coverage to those who meet the requirements. In Florida, Long-term care coverage for Medicaid is determined based on the assets and income of the applicant, as well as that person’s spouse. One of the Top reasons families do not qualify is because they do not plan to qualify in advance. A Jacksonville medicaid planning attorney can help families qualify without loosing everything. Why Should You Plan to be Medicaid Eligible? We encourage our clients to plan to become eligible for Medicaid because even those with only moderate wealth can be disqualified by the stringent requirements set forth by the government. A small amount of money can greatly increase the quality of life for you or your parents. It is important to talk with a Medicaid planning Lawyer in Jacksonville because many of the techniques used by our parents or friends in other states do not work and can disqualify your family from coverage. Scott has been an elementary school teacher since the age of 23. He has saved money his entire life and is able to retire by the age of 67. Scott is frugal and lives within his means with the hope to one day live his inheritance to his children. At age 70, he is diagnosed with a terrible disease that requires long-term nursing home care that is very expensive. His care starts at $9,000 a month, but within a year is up to $20,000 a month. Scott now must spend the majority of his savings to qualify for benefits. Once he does qualify, there is nothing left to pay for all the things the government does not cover. When he eventually dies there is nothing left to his children or spouse. He instead has to use all of this money to pay for treatment because he did not qualify for Medicaid. James has also been an elementary school teacher since he was 23 years old. James never saved his money and spent it all on expensive dinners and lavish vacations. Basically, James has never saved any money. James also retires at the age of 67 and is diagnosed with the same terrible disease. James, unlike Scott, is likely to qualify for Medicaid because he has not saved money and has never been financially responsible. He no longer has to worry about expensive medical care because he was able to qualify for Medicaid. Scott and James each receive the same benefits. If Scott planned, he could enhance the quality of care that he obtains by upgrading to a private room or obtaining private care takers. So what is the solution? Talk with a Jacksonville Medicaid planning attorney before your family runs out of money. Medicaid planning involves a number of estate planning and asset protection techniques that allow a person to meet the eligibility requirements. Essentially what Medicaid planning does is to rearrange a person’s assets so they can pass The Medicaid Income Test and The Medicaid Asset Test, which are tests that must be passed in Florida for an applicant to qualify for Medicaid. 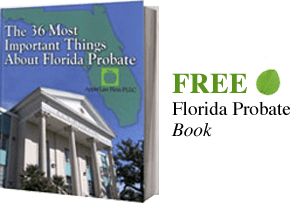 Florida allows a number of estate planning techniques to help a person qualify for Medicaid such as a Florida Asset Protection Trust, Qualified Income Trust, and a Ladybird Deed. Congress enacted Medicaid along with Medicare in 1965 through the Social Security Act during an era of civil rights reform in this country. The main objective of the program was to provide long-term care to needy, elderly, and disabled persons. While many feel that Medicaid was originally intended to help only the extremely poor, this sentiment has since changed and now the prevailing opinion has become that Medicaid is a government benefit that should be utilized by anyone who qualifies. Since Medicaid was enacted healthcare has become a commodity in the U.S. economy. Long-term healthcare and services are bought and sold on the open market as permitted by the Affordable Healthcare Act. Like any commodity, a person would not be expected to pay for a service or good that he or she could buy for less from another source. The same principal holds true when it comes to healthcare. A person would not want to spend all of his or her savings on long-term healthcare to be able to live in a Florida nursing home when the same service can be paid for by a government subsidy. The U.S. is one of the wealthiest countries in the world, however, the Medicaid requirements make long-term healthcare extremely hard to achieve. The current requirements leave many that need help without healthcare because it has become too expensive. This is why estate planning for Medicaid in Florida is so necessary in order to plan for our futures and the futures of our loved ones. The links below provide more information on Medicaid planning tools such as a the Florida Asset Protection Trust, Medicaid Asset Test, Medicaid Income Test, Ladybird Deed, or Qualified Income Trust. Our Jacksonville, Florida Medicaid Planning Attorneys and lawyers can help you understand your Medicaid benefit needs and other aspects of Florida Elder law. Please email a Florida Medicaid Planning Lawyer or us at (904) 685-1200 to discuss your situation with a Florida Medicaid Planning Attorney.